I’ve settled for a WM6 equipped HTC device: The HTC Touch Cruise. A fairly nice device. It doesn’t look as fancy as the iPhone, but it is very well equipped and there are many applications available for WM6. I can watch online-streams, youtube, etc. I can telephone over VoIP and/or skype, so calling is essentially for free (granted that you have an unlimited internet subscription). It even synchronizes with my Google Calendar through oggSync (limted freeware). Still I don’t really like the situation. I would neither really like to have an iPhone, regardless of the appealing looks. My perfect phone has to have an open environment in which I’m able to do and change everything to my liking. Besides being able to SSH to it, it should still have decent hardware and a good UI, though. Now, it seems that the first important step is made, the linux kernel now runs on the iPhone! Another nice example is the CHDK (the Canon Hack Development Kit). It allows anyone to easily upgrade various Canon camera’s with many profesional features and new customization options without much risk of irreversible damage (YMMV). It only boots up with the firmware you load on the SD card, when you remove those files, it will boot up with the regular system. It is an interesting strategy for Cannon to allow this to happen, because Canon will surely learn a lot about what users do with a camera that they can adjust to their needs. They can start incorporating a selection of these features on their standard models, and/or support a more general plug-in mechanism. 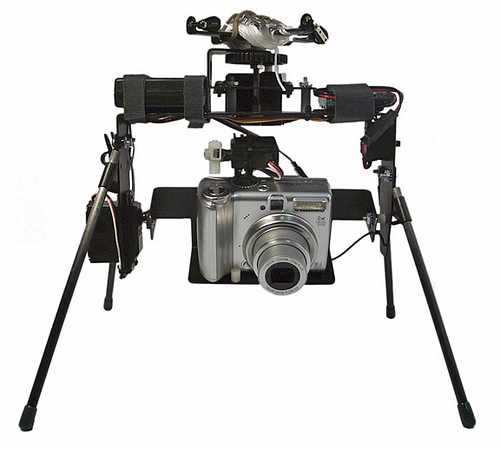 A CHDK enhanced photography rig. This allows you to take HD timelapses with panning. You can tilt and pan the camera along a computer controlled path and create shots at regular intervals. 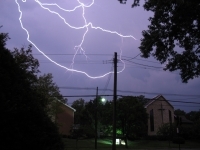 – Motion detection – Trigger exposure in response to motion, fast enough to catch lightning. – USB remote – Simple DIY remote allows you to control your camera remotely. – Zooming during filming! – You can now finally zoom in/out WHILE recording a movie clip. – IR remote control – Do zooming and shutter control wireless with an standard Apple Remote. – Time lapse – it allows better control over time lapse. E.g. you can create a movie of small seeds growing to become small plants! – Bracketing – take multiple snaps almost simultaneously with different exposure, aperture, ISO, and even focus. You can later digitally combine the pictures using masks, etc. – Games – Play Reversi, Sokoban or 4-in-a-Row on your camera. – RAW – CHDK can record raw files, giving you access to every bit of data the sensor saw, without compression or processing. Raw files can be manipulated on the camera, or processed on your PC. CHDK also has experimental support for the open DNG raw standard. – Override Camera parameters – Exposures from 64s to 1/60.000s with flash sync. Full manual or priority control over exposure, aperture, ISO and focus. – Video Overrides – Control the quality or bitrate of video, or change it on the fly. – Scripting – Control CHDK and camera features using ubasic and LUA scripts. Enables time lapse, motion detection, advanced bracketing, and much more. – Many user-written scripts are available on the forum and wiki. – Edge overlay – Detect the edges in a scene, and display them later. 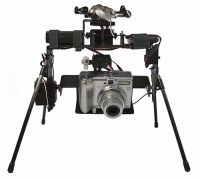 Ideal for timelapses, stop-motion, stereography and much more. – Live Histogram – CHDK includes a customizable, live histogram display, like those typically found on more expensive cameras. – Zebra-Mode – Displays under and overexposure areas live on the screen. – GRIDS – Create custom grids and display whichever one suits your shooting conditions. – Multi-Lingual Interface – CHDK supports about 13 languages, and adding more languages is simple. – DOF Calculator – Display detailed DOF information on the screen. – Customizable OSD – Improved display of battery status, free space, camera parameters, and much more. Fully customizable with an on-screen editor. – Filebrowser – Manage files without a PC. – Textreader – Display text files on your camera. – Benchmark – Compare the performance of your SD cards. – User Menu – Edit your own customizable User-Menu for fast access to often used features. – there is even more â†’ read the Manual & explore this wiki. 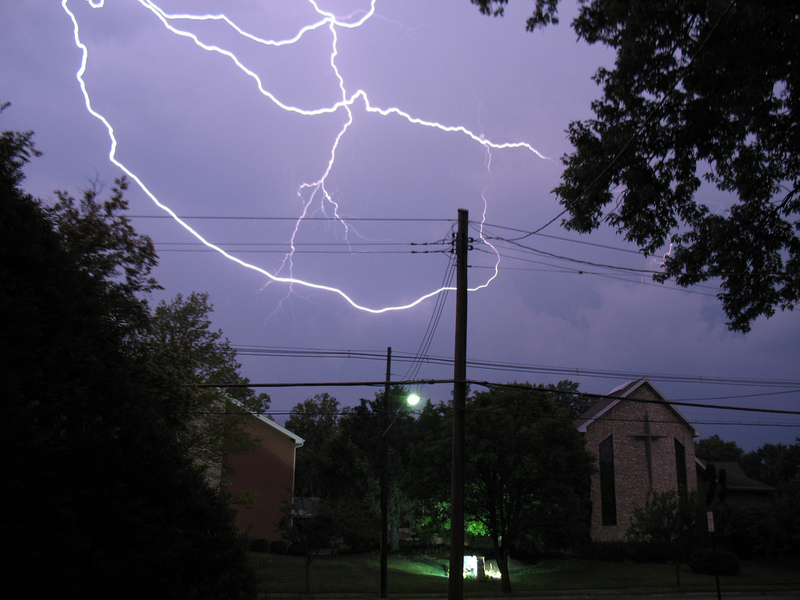 You can finally catch lightning with your camera… well, sort of. Next story Physical object generators! hey guys, i bet having linux on your iphone must be awesome… i wanna have it too. The thing is that i can’t install it. It is in a very early stage. You can try it, but that would currently be to prove that it can be done or if you want to develop linux drivers for the iPhone. But you should keep your eyes the linux 4 iPhone project… once some more drivers are finished people can start making applications.